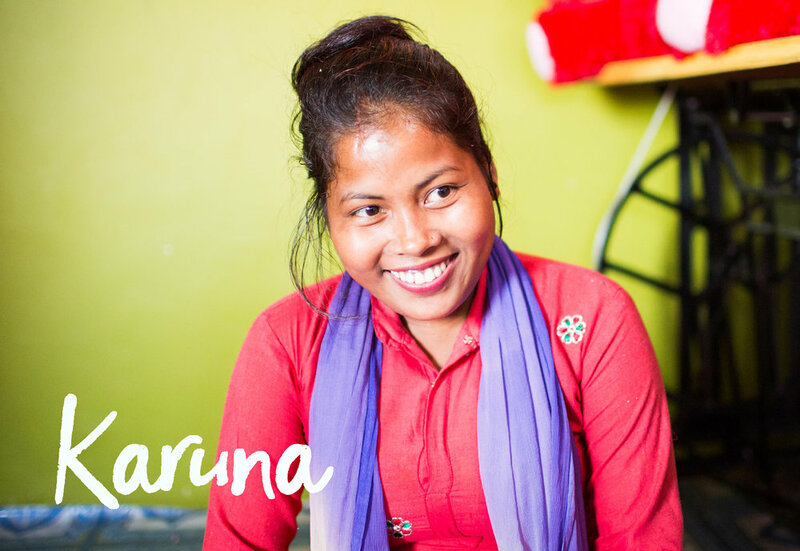 Karuna, a teenager from eastern Nepal, is no stranger to pain. As the oldest of six children, with two violent, alcoholic parents, she shouldered the burden of keeping her siblings alive. She remembers frequent days in which they had only a cup of water to fill their stomachs. One day, Karuna shared her hopelessness with a neighbor she called “Auntie.” Auntie invited her to a wedding to cheer her, and bought her new clothes to wear. On the way to the wedding, Karuna was offered juice - which had been drugged - and she awoke to find herself in a hotel in a far-off city where Auntie had left her. For six months, Karuna endured agony beyond words. She was subjected to 8-10 men daily, force-fed drugs, beaten, and burned with cigarettes. She wanted to end her life, but she was never left alone enough to succeed. Finally, she saw her chance to escape and fled on foot to the border with nearby India where she was discovered by staff members from our partner in Nepal. She was noticed and taken aside. The staff listened to her story and provided her with hope. They gave her legal counsel and she testified against three of her traffickers, who were convicted and sent to prison. She has, in her words, “recovered from the trauma in [the] loving environment [of the safe house],” where she has continued her education, and teaches literacy to the newly arrived girls whom she calls, “Beloved Sisters.” She believes that God saved her, and that her “future is very bright.” One day, she hopes to pursue fashion design, as well as social work to help other trafficking survivors. *The identity of our daughters may be changed for their protection. The names of our partner organizations may be withheld to protect their work.